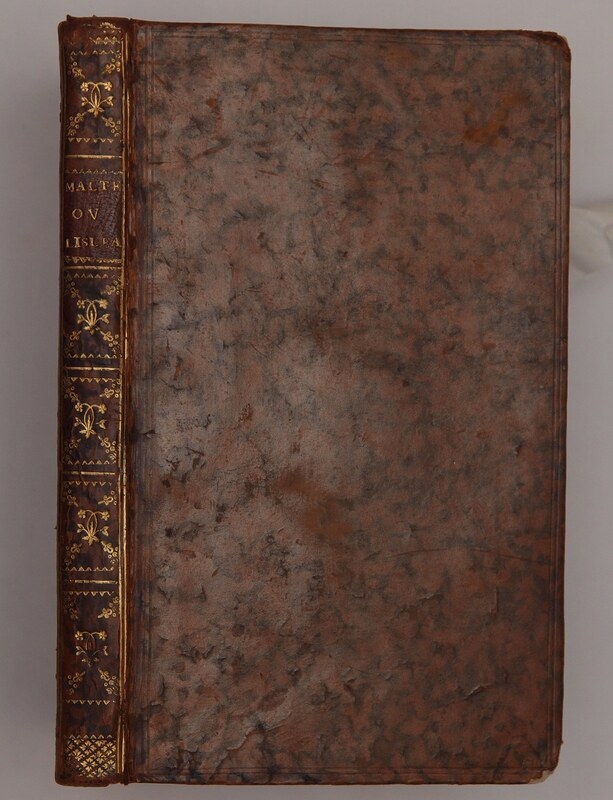 Published: 1749 (the year of the uprising of the slaves). 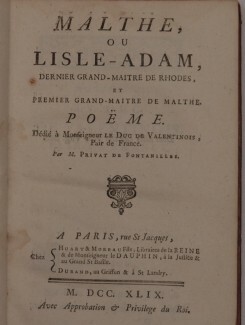 The book itself is a collection of poems in honor of Grand Master L’isle Adam. Condition: It is complete, and in very good condition. The binding is contemporary and strong and can be opened with confidence. The paper is crisp and white and has no signs of foxing, damage or worming. 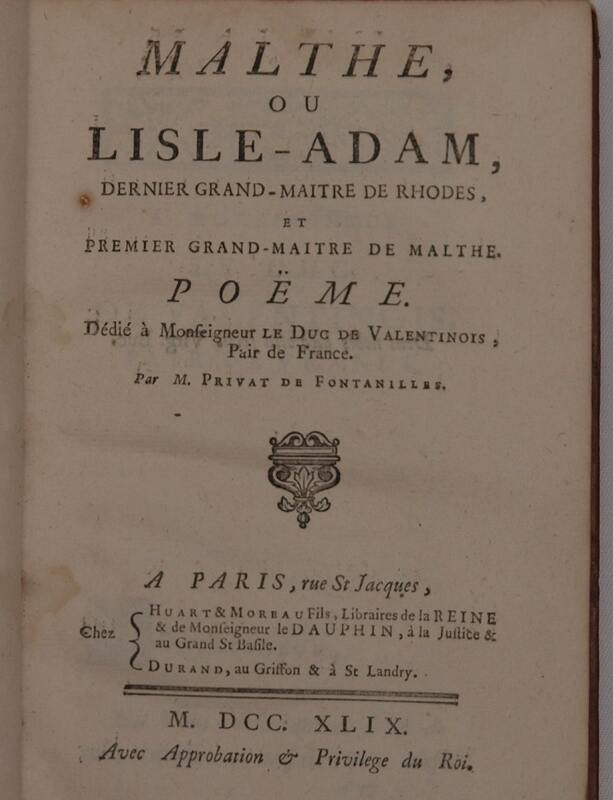 (click images to view binding and sample inner page).